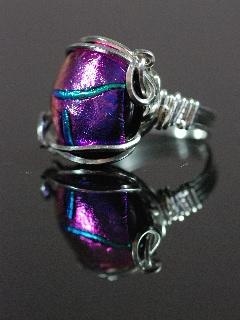 This fuschia colored dichroic glass piece is so mesmorizing to look at. This ring would look great as a pinky or on any finger. It is so unique you need to see this one.